This entry was posted in Color, Weekly PhotoChallenge and tagged cartagena de indias, contrasts, life, night, way of living, weekly photo challenge: contrasts, work. Bookmark the permalink. Wow, you’ve found more than what I’ve even seen Stacy; nice job, and thanks for that! 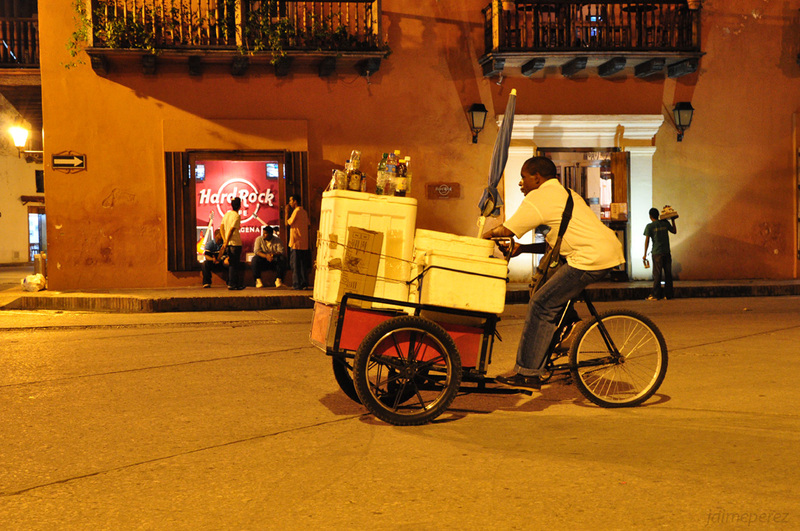 Though, obviously, I didn’t take this picture for this challenge (it was in 2010, in Cartagena Colombia), my intent in this shot is to show the “lifestyle” contrast you can find all around this iconic touristic location. In that sense, this is just an example: the vendor’s lifestyle look vs. the standard of life that Hard Rock cafe suggests.